The Madison Valley has some of the most scenic attractions to be found anywhere: mountains, meadows, streams, glacial lakes, mining camps, even a National Fish Hatchery. 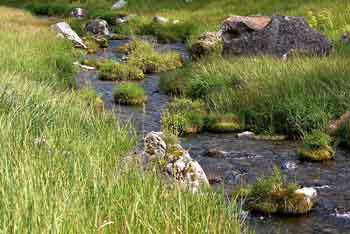 Some areas, such as the Lee Metcalf Wilderness, are accessible only by foot or horseback; others, such Tobacco Root Mountains, and Gravelly Range have numerous roads for vehicle access. FISHING: The world-renowned Madison River is considered by many to be the best “blue ribbon” trout stream anywhere. Nearby, the waters of the Gallatin, Ruby, Jefferson, Big Hole, Beaverhead, and Yellowstone Rivers offer incredible fishing experiences. Leave your worms at home or be frowned upon by avid fly fishermen. 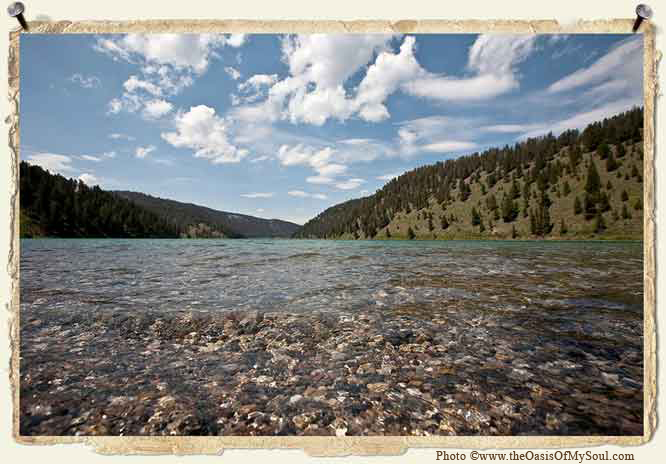 High mountain lakes offer another kind of fishing and the valley has many incredible spots, such as Cliff & Wade Lakes, Axolotl Lakes, Sure Shot Lakes, South Meadow Lake, and the famous Quake Lake. 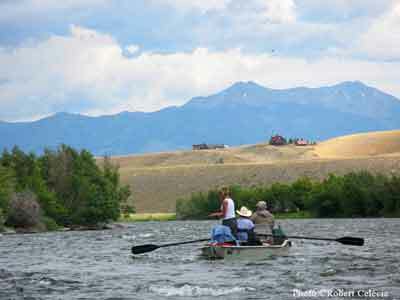 You can fish from the shore, wander right into the river, or float the Madison River in a specially designed boat with an experienced guide. Or, if you prefer, bring your own boat or a raft or even an old inner tube and float away a day. 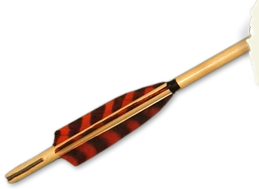 WATER SPORTS: Ennis Lake offers the usual water sports, such as canoeing, water skiing and wind surfing, plus more fishing. The dam that created Ennis Lake lies in the Bear Trap Canyon, a beautiful and exciting area for white water rafting and great fishing. There are also endless numbers of high mountain lakes where the fish are plentiful and you will find yourself alone to enjoy the quiet beauty. EVENTS: Here in Ennis, you'll find one of the most exciting rodeos anywhere. It takes place July 3rd and 4th, following a colorful Fourth of July Parade, when thousands of visitors pack the streets. Other annual events to enjoy include a 10K Fun Run, Art Fairs, Hunter's Rendezvous, Hunters Feed, Holiday Bazaar, Father’s Day Fishing Derby, Fly Fishing Festival and a Farmer’s Market on Saturdays during the summer months. GOLF: Golfers will enjoy the challenging 9-hole Madison Meadows Golf Course in Ennis with the great mountain views and low green fees. Or they can drive to Big Sky and play the new Reserve at Moonlight Basin - a spectacular new, picturesque Jack Nicklaus Signature Golf Course situated at 7,500 feet of elevation! Or they can travel to any of 11 other courses within 2 hours driving. SKIING: Skiers and snowboarders can choose from three major ski resorts within two hours of Ennis: Bridger Bowl, Big Sky Ski Resort, and Moonlight Basin offer long trails and short lines. Surrounding forests also offer escape on cross country skis, snowshoes or snowmobiles (where permitted). SNOWMOBILING: The valley is surrounded by National Forest, Bureau of Land Management and State lands, giving the public unlimited access to unlimited touring. With Yellowstone National Park just an hour and a half away, you can enjoy countless hours of snowmobiling in the winter. 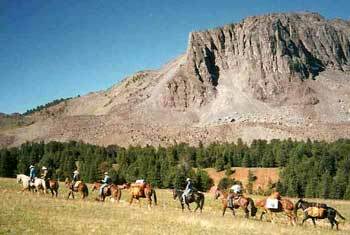 HORSEBACK RIDING: Hundreds of trails wind throughout the Gravelly Range of the Beaverhead National Forest on the west side of the Madison Valley and the Tobacco Root Mountains to the northwest. This is horse country and there are numerous opportunities for trail riding. PAINTING & PHOTOGRAPHY: If the heart of an artist beats within you, then drink in the natural, magnificent vistas of southwest Montana. The light and colors are constantly playing and changing against the backdrop of majestic mountains. This is Big Sky country at its best. Artists and photographers, professional and amateur alike, can keep busy “shooting” such attractions as Sphinx Mountain, the fascinating old buildings in historic Virginia City, or just the natural splendors of moving sunrises, gorgeous sunsets and a variety of wildlife. 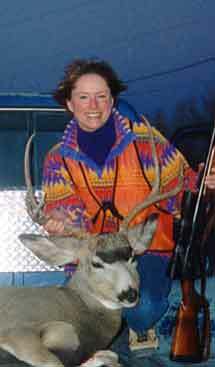 HUNTING: Our hunting heritage is well-respected and well-represented in Montana. The Madison Valley is an ideal place to enjoy this activity, as the valley is home to the largest winter herd of free-ranging elk in the U.S. Hunters will find a challenge tracking down elk, deer, mountain lion, bear, moose, antelope, mountain goat, big horn sheep, white tail and mule dear, and of course, varmints ranging from the wily coyote to the bothersome ground squirrel. Waterfowl and game birds also make the Madison Valley their home...in season, of course. Local ranches welcome hunters who ask permission to hunt and there is easy access to public lands throughout the valley. SHOPPING, DRINKING & DINING: For more civilized recreation, the town of Ennis offers 3 city parks, a new library, a movie theater with first-run shows, kids' fishing pond and playgrounds. You will also find good accommodations, true old West saloons, fine dining and excellent shopping...sports stores, fishing and hunting outfitters, art galleries, clothing, hardware and electronics stores, tourist collectibles, antique shops, second-hand stores and great treasure shops.